A bicycle ride through the ripening grain fields in Österlen actually says it all. Plants are the basis of the food we eat, the materials we use, and the energy that fuels us. Farming and agriculture are key industries to sustain our lives here on the planet. Growing algae is a pioneering branch of modern agriculture. As algae farmers, we grow and harvest one of the earth’s most primordial crops: sea-borne plants that invented photosynthesis – the power to harness sunlight, essential to all life on earth. Algae naturally produce many unique substances, which are essential to human and animal health. Our business is to harness these substances, and deliver highest quality, exclusive products that give our customers access to these sun-packed gifts of the sea. As a company, we are an integral part of society. Profit is at the heart of what we do, as is doing good. We create jobs, generate new knowledge, reduce harmful impact on natural resources, and make a difference in people’s lives with our products. We replace unsustainable production methods with truly green and bio-based technologies. For us, that ensures long-term growth and profitability. Through collaborations, we share our know-how with industries and organizations who are serious about making a difference and improving their environmental impact. A fit and healthy body is a body that sees no restrictions – strong enough to head out for a run, to play with the children, and to withstand stress and disease. 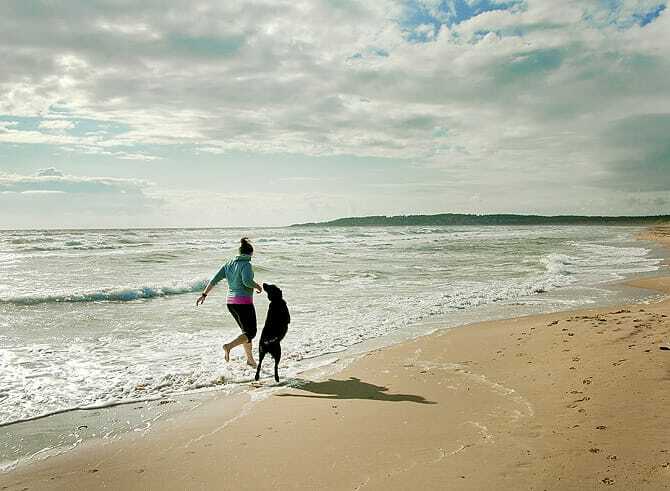 For us, health is about enjoying life. To have fun, to feel strong, and to be truly alive. Health and the environment are interrelated. The food and health products we eat to keep us healthy and strong, should not cause depletion of natural resources, and should of course be free from environmental toxins and pollutants. We want to be able to breathe fresh and clean air, drink pure water, and enjoy nature with its stunning views and amazing variety of living species. Simris Alg was founded in 2010 by Fredrika Gullfot, who today is our CEO. Fredrika was doing research at KTH the Royal Institute of Technology in Stockholm, when she fell in love with algae. 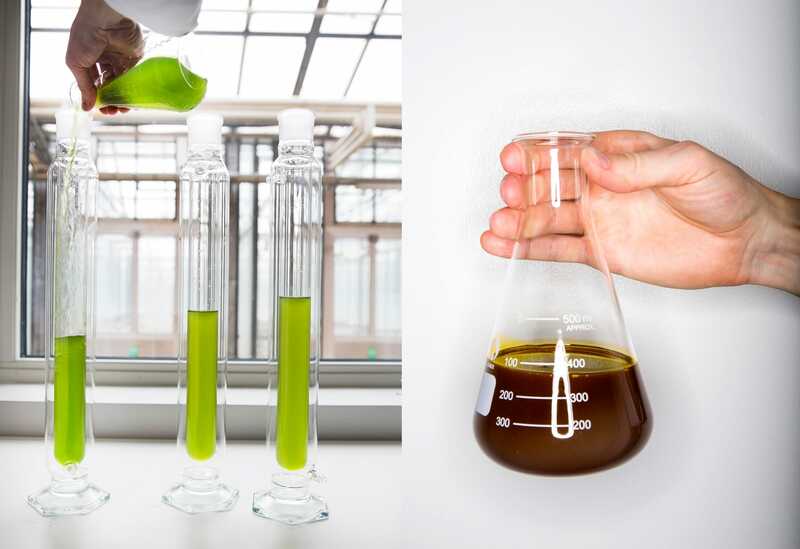 The possibilities seemed endless: using algae to develop environmentally friendly production processes and better products. As a passionate ultra-marathon runner, Fredrika spent many hours alone on her long runs in nature, and her wild ideas slowly matured into a solid vision. After finishing her PhD, Fredrika decided to leave academia and start Simris Alg. It was simply a vision too good to not bring it to life. Simris Alg’s commercial business started with a number of exciting collaborative projects, where we showed that algae cultivation can turn conventional industrial production both greener and more profitable. 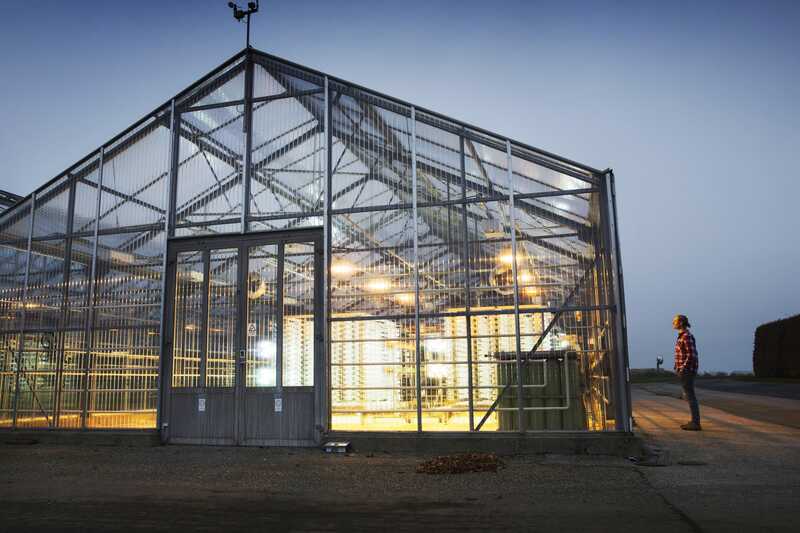 In parallel, we developed our own farming model, and are now proud owners of a state-of-the-art facility featuring the latest technology within algae cultivation. We have received great attention both in Sweden and internationally for our efforts, and have been awarded with several prizes and honours. Our core business today is manufacturing and delivering dietary supplements and algae-based foods that make a difference for both human health and the environment. 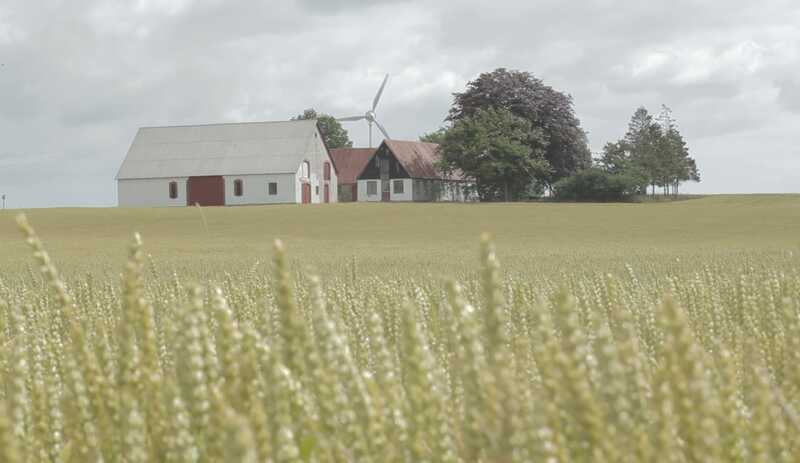 We are based in the small village of Hammenhög, in the heart of Österlen and Skåne, Sweden’s strongest and most innovative region within agriculture and food production. Here, we have taken over the greenhouses of an iconic plant-breeding facility, which once gave Hammenhög its nickname as “the flower village”. Our greenhouses’ birth story goes as far back as the nineteenth century, when farmer Otto J. Olsen, thanks to the mild and sunny climate of the region, started to cultivate seeds for fodder beet and grass. At the peak of the facility’s operation, around 350 workers were busy with the cultivation of flowers, seeds and tulip bulbs. The thriving and colourful display fields and annual tulip festivals attracted visitors from all over the country. We are very proud and happy to carry forward Hammenhög’s green and colourful farming tradition, with our own little sea-flowers. Algae are the new crop, for a new era. Standing with your bare feet in the soft sand that is warmed by the sun, looking out over the vast deep blue sea, and hearing the rhythmic humming of the waves. Inhale deeply, close your eyes and feel the salty scent. In some strange way, the sea always feels like home. Instinctively, we know that the sea brings good. Ever since the origin of mankind, we have exploited the sea for its riches, as collectors of mussels and shellfish, as pearl divers, and of course as fishermen. Still today, the sea belongs to our economically most important natural resources. However, there is one problem: fish oil supplies are no longer sufficient. The trade association GOED anticipates “Peak Fish Oil” in 2017, when supply can no longer meet the ever-growing demand. The trend is progressing at an alarmingly fast pace. Peru, the world’s largest manufacturer of fish oil, was forced in November 2012 to cut this year’s fishing quota by as much 68 percent, due to overfishing and climate effects thereof. The large-scale trawling for fish oil and fish meal also creates serious environmental problems due to overfishing and irreversibly destroyed coral reefs. Besides devastated marine habitats, this also leads to poverty and famine in vulnerable regions such as West Africa, where coastal fisheries are knocked out due to reduced catch. According to reports from the United Nations Fisheries and Agriculture Organization, global fish stocks might collapse in 2048, if the devastation of the oceans continues at the same rate as today. Fish oil is an important example of how our quest for valuable commodities can create both environmental havoc, and depletion of resources in the long term. We want to be able to enjoy the gifts of the sea in the future as well: experiences of nature, joy and adventure, but also food and other valuable commodities. Therefore, we must act wisely, and manage the ocean’s resources better than we do today. In fact, it is quite simple. Smarter solutions and better consumer choices make a big difference. 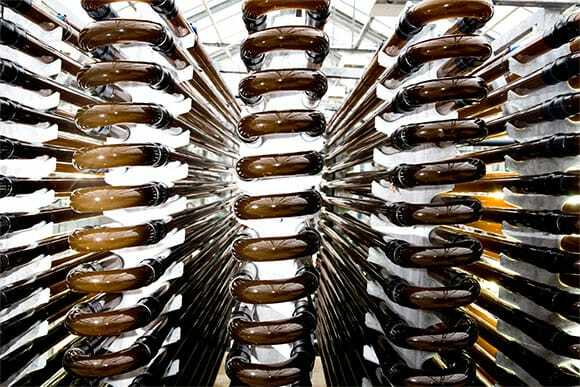 It takes 600 sardines to produce a single bottle of omega-3 from fish oil. Fish oil is simply not very smart. By choosing omega-3 from algae instead, you contribute directly to the reduction of overfishing in the oceans. Simris® Algae Omega-3 is, simply put, smart omega-3, for smart people. People who make a difference. Our algae farm in Hammenhög consists of 2000 sq.m. greenhouses for growing algae, and newly built top-class laboratories, where we develop our starter cultures, follow up the cultivation process and take care of our strain library. The algae are grown in closed systems, under controlled conditions with extremely high demands on quality and purity. This ensures our omega-3 oil is ecologically sustainable, guaranteed free from environmental toxins, and packed with maximal healthy substances, phytonutrients and antioxidants. Farming, harvest and production is performed within an innovative biorefinery concept, where all products in the process value chain are collected, and where the individual components are utilized optimally. Our technology strategy has been to select the best solutions from different industries, in order to create optimal processes in terms of performance, product safety, and environmental concerns. Our key technology is based on nature’s own process for storing solar energy: photosynthesis. During photosynthesis, the algae harness the energy from the sun, and convert carbon dioxide into biomass (proteins, polysaccharides, lipids) and oxygen. Our algae are grown in modern greenhouses with superior light transmission, so that the algae can absorb as much natural sunlight as possible. The algae are grown in closed systems, called photobioreactors. Photobioreactors are intricate glass tube modules, in which the algae culture is continuously circulated to keep the algae in constant motion. The systems are designed so that algae are exposed to as much sunlight as possible, in order to optimize growth. The algae are harvested regularly, by letting off the algal culture and gentle centrifugation. We do not use chemical precipitation, but instead an entirely mechanical technology that is superior in performance and energy efficiency compared to the industry standard. At the same time, the technology is so gentle that we obtain an intact and alive algae paste, that stays fresh considerably longer than with comparable separation processes. This is crucial in protecting the sensitive nutrients, and ensuring superior product quality. The water that is separated from the algae by centrifugation is then recovered and recycled into the culture again, so that new algae can grow. The harvested, fresh algae paste is finally prepared for extraction. We have full control over the entire farming process. We grow our own starter cultures and make our own seawater, in which the algae are grown. In this way, we guarantee a superior product, absolutely free from toxins and contaminants. We do not use solvents to extract the oils from the algae, or to enhance concentration of the omega-3 oils. We do not consider solvent-based processes to be environmentally sustainable, and we do not want to risk residual solvents in our products. We also want to keep the many beneficial substances that are naturally present in the algae oil, without destroying them in the manufacturing process. We do not work with genetically modified algae. On the contrary, we see a point in utilising the natural diversity of algae, where so many species and strains are still completely unexplored. We prefer to screen algae for desired properties instead, in order to identify new wild-type species with high farming potential. In our products, we use only well-established algae, which are approved for human consumption. We do not use raw materials or ingredients of animal origin in our production. Our products are 100% plant-based. We also do not make any products that are used for production animals. Our algae farm has many beneficial effects on the environment. For every pound of algae we grow, we consume nearly twice the amount of carbon dioxide. We place high demands on our suppliers as well, and ensure that our raw materials are not manufactured with negative environmental impact. For example, the carbon dioxide we use comes from a thoroughly green fermentation process, as a by-product of food production, rather than from a chemical process. 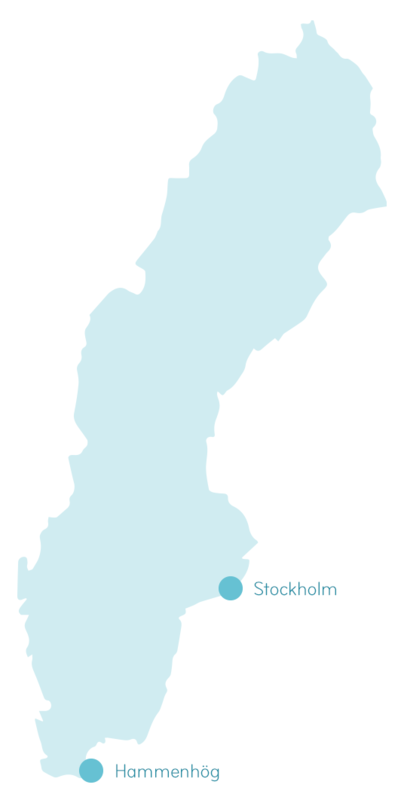 In our team, we have gathered expertise in algae farming that is unique for Sweden. We are bio-technologists, marine biologists and communication experts – proud algae farmers who make a difference! At Simris, we walk the talk, and we love the sea and the earth. Are you our new Simris Superhero? Follow your passion. Make a difference. Working with us means being a true pioneer, dedicated to build a new, green industry from scratch and one of tomorrow’s strongest lifestyle brands. We are always seeking stellar talent, who knows the future lies in our hands, and is willing to work for it. Together, we will grow Simris into a global change maker, and breathe life into our vision of becoming a landmark business in the bio-based economy. Bioprocess wizard, marketing genius or financials superhero? We might just be the place for you. 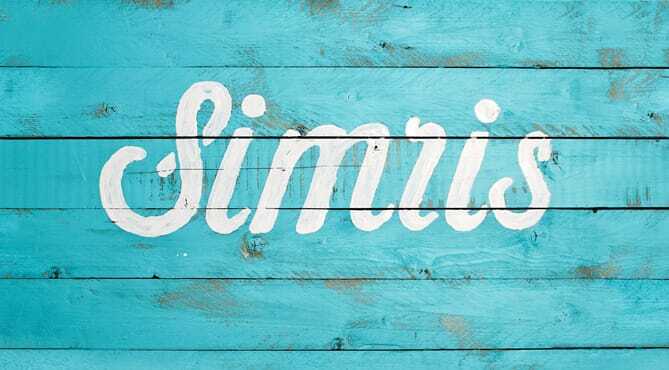 Welcome to Team Simris!